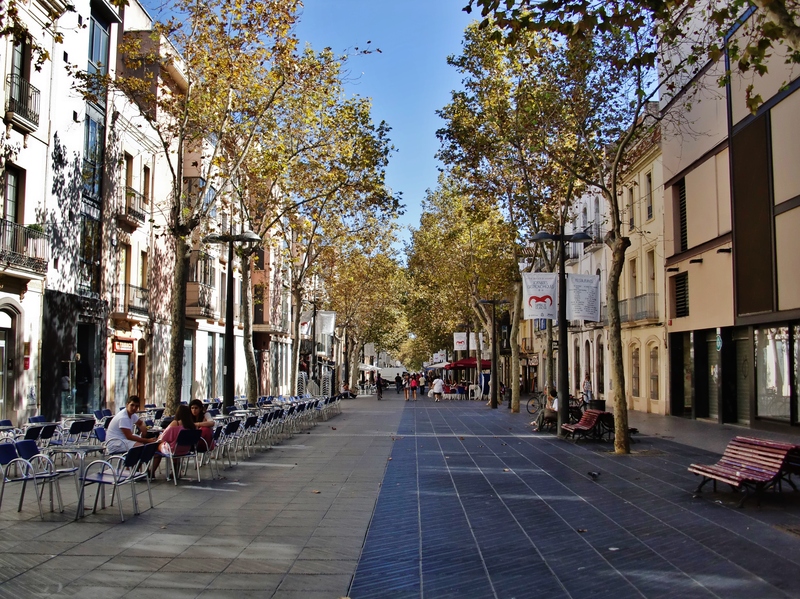 The word “Rambla” is a Catalanian meaning a broad street. Ramblas (in plural) were built on the river beds. There are two major ramblas in Catalonia that are conserved to date; Rambla Principal that stretches from the main church to the railway line, and Rambla de la Pau on the other side of the railway down to the seaside. The broad streets that are almost a kilometer long are expedient for a casual family stroll on a visit. Amenities long the streets include nice shops, restaurants, bars and a lot of street benches to sit and look at the thousands of people from all stretch of life. Unlike other similar old coastal towns, Costa de Garraf has improved over the years. It has maintained the historical port warehouses along the sea as a preservation of its heritage. Apart from the reminiscences of what the town used to be, one is able to enjoy the promenade of the seaside. The clean water and white sand are just perfect for an afternoon stroll along the beach. This place is a bit remote; not crowded hence favorable to the few who prefer a quiet environment to reflect and reconnect with nature. Enjoy a breathtaking view of the sea with your spouse and kids as you enjoy the mystic view during sundown. It is also a nice place for water sports like surfing, scuba diving and snookering. This is the oldest museum in the coastal town of Costa de Garraf. Museu Romàntic Can Papiol was built from an ancient mansion that was the home to the one of Rome’s wealthiest family in the 19th century. The quintessence of this museum is to portray the life of the early rich romans, known as “Romanticism”. The museum is a journey through time with artifacts that have been conserved. Take your kids out on a lazy Sunday as you roll back the years, getting in touch with a different time in history. The rooms and images tell stories of Roman civilization, culture and general way of life. The museum gives a firsthand experience, so intricate; you can feel the presence of the ancient habitants. The tour to the museum can be an exciting experience. Especially when you visit with your family, little children will surely be fascinated by the humongous artifacts and statutes. One particularly interesting thing about the mansion is a well-kept body of Saint Constanca, a little girl who was murdered during the ancient Roman times. She was particularly instrumental during the escape of Capuchin monks during the persecutions. The Museu Romàntic Can Papiol hosts thousands of tourists around the world every day. If you would like to have more information, do feel free to come to our family hotel in Vilanova to perfect your trip.